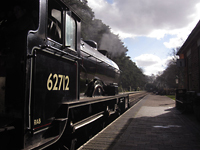 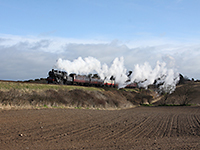 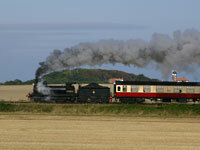 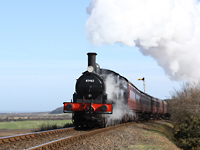 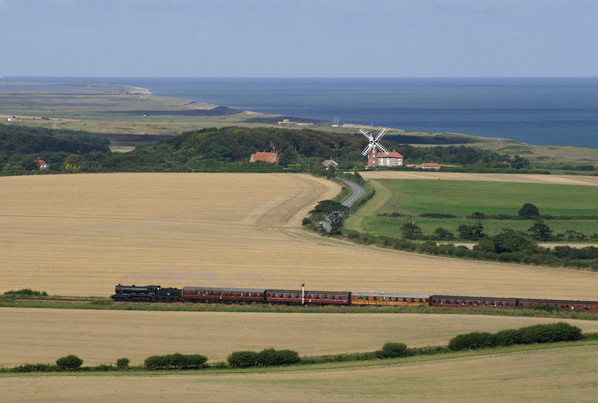 Based at Sheringham the North Norfolk Railway runs for just over 5 miles along part of the former M&GN branch line from Melton Constable to Cromer (Beach). 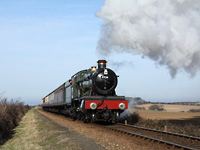 The area of North Norfolk the railway runs through was also famously dubbed 'Poppyland' by Clement Scott and lead to the line being called 'The Poppy Line'. 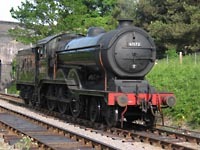 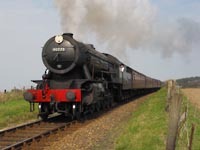 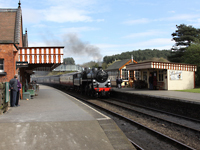 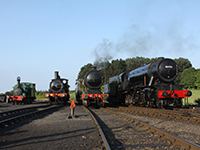 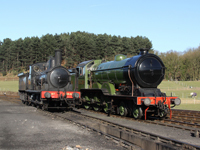 Closed in 1964, the NNR moved into Sheringham station in 1967, reopening the line to Weybourne in 1975, and back to a new station at Holt in 1989. 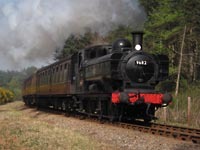 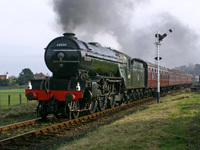 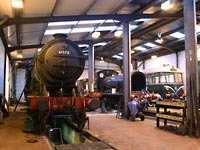 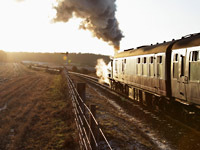 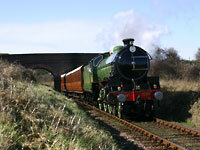 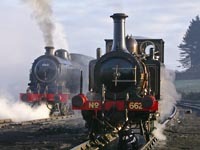 The railway is also home to the M&GN Joint Railway Society and its unique B12 and J15 locomotives and Gresley Quad-Art teak bodied coaches.